Rodents cause millions of dollars in damage to Australian industry every year. They cause fire and spread Disease like leptospirosis, Lymphocytic choriomeningitis, bubonic plague. There droppings and shed hair can cause allergens. all this is done through Saliva, Hair loss and Urine a rat will constantly urinate 50ml of urine a day. 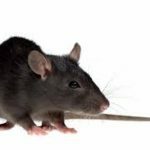 The first sign you have rats and mice is the constant scratching and gnawing in the roof or walls this may be followed by the smell of Rodent Urine Especially where there nesting. Our technicians carry a verity of Rodent Baits as these guys can be quite picky when it comes to there diet. they can also be quite difficult to feed baits to and you need experience to understand how the rodents live and there habits to be able to be effective with the positioning of any baits, technicians also need to be very careful where there are native animals or pets in close proximally as secondary baiting can happen. Dealing with Rodents is not as simple as throwing a few baits and hoping for the best they can be quite complicated.